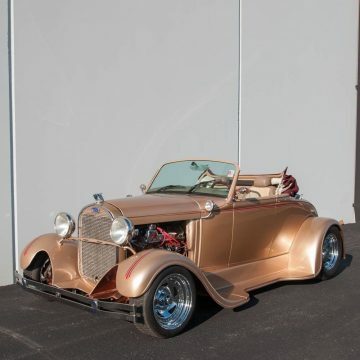 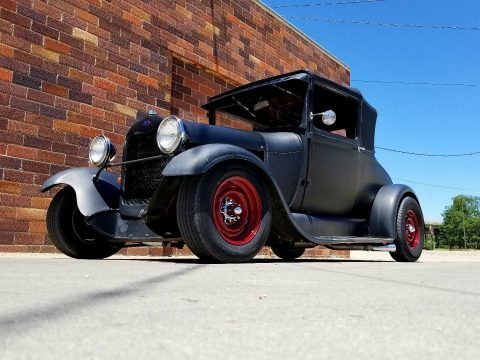 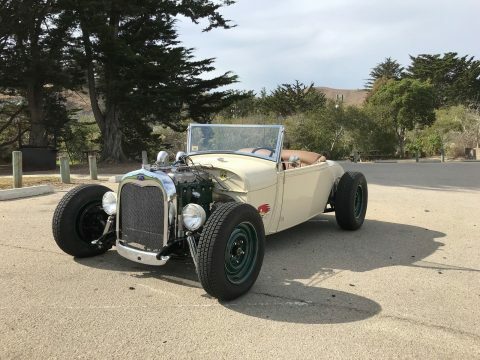 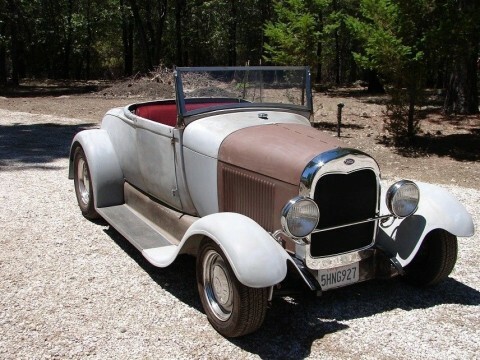 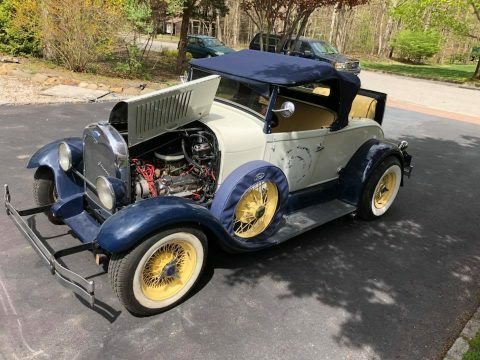 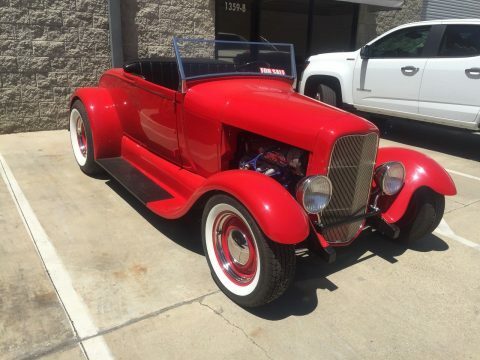 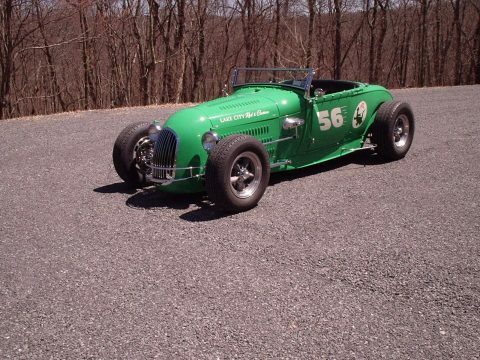 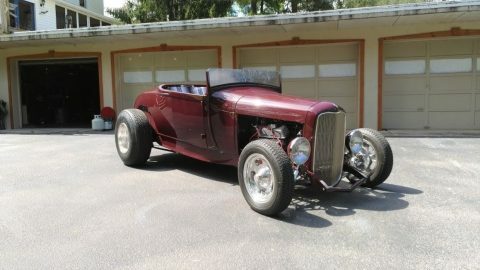 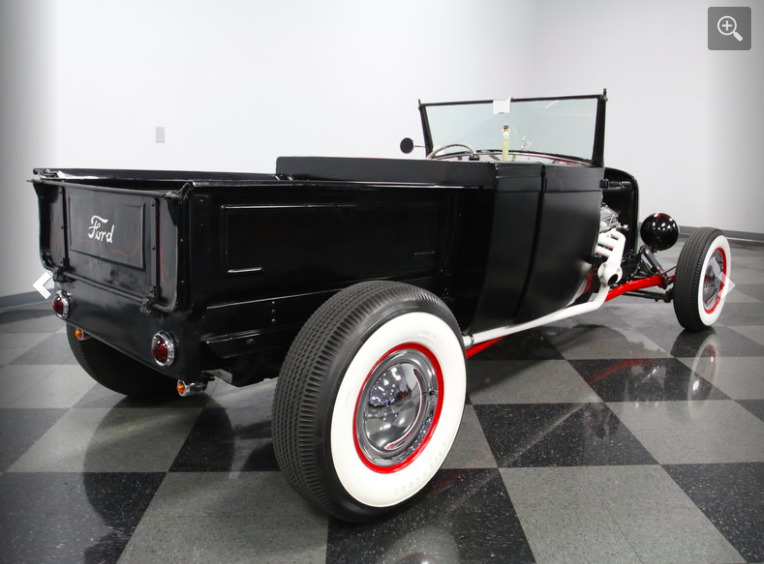 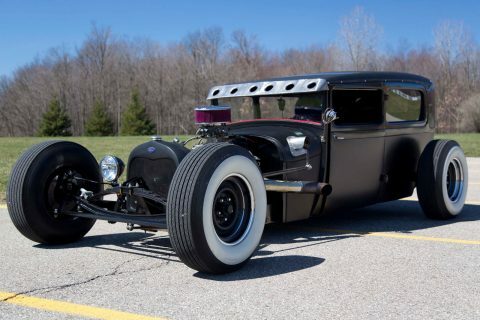 This 1929 Ford Roadster pickup reads like an all-star list of the pieces you want. 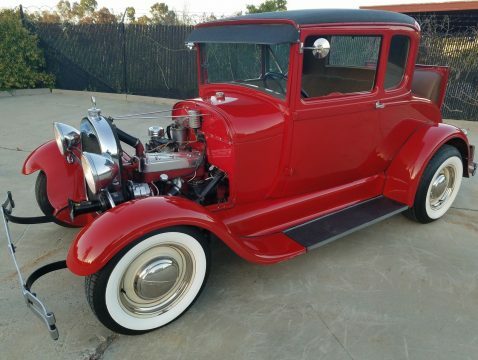 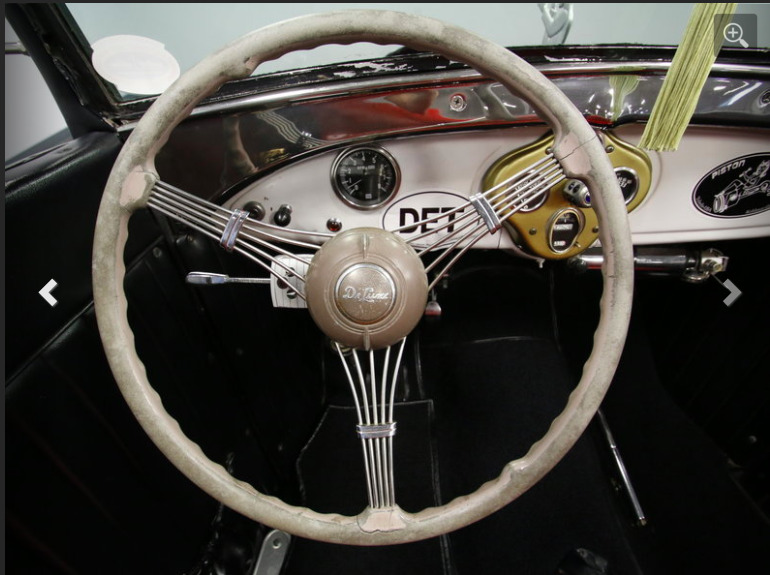 After all, the Henry Ford steel has been given a fantastically coordinated appearance, a triple-deuce V8, and a modern five-speed stick shift to keep this classic ahead of modern traffic. 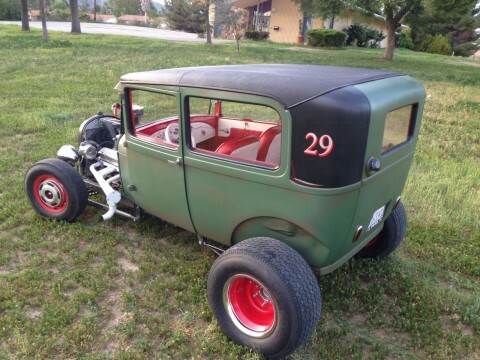 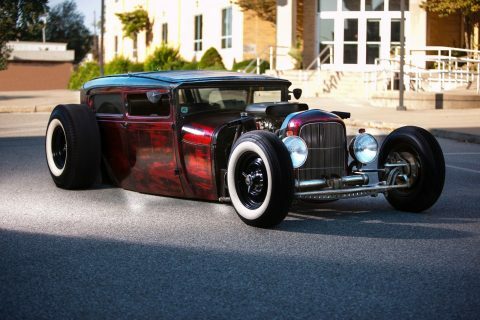 This is exactly how you imagine the perfect hot rod. 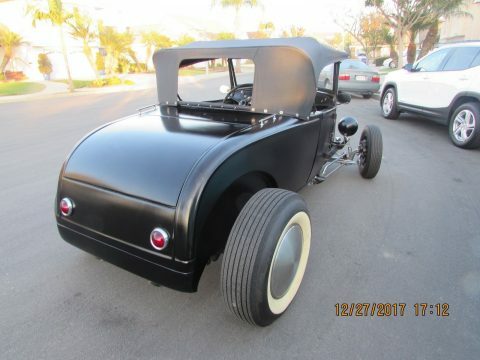 There’s just something aggressive about an industrial-grade matte black that has its best elements highlighted in a contrasting white. 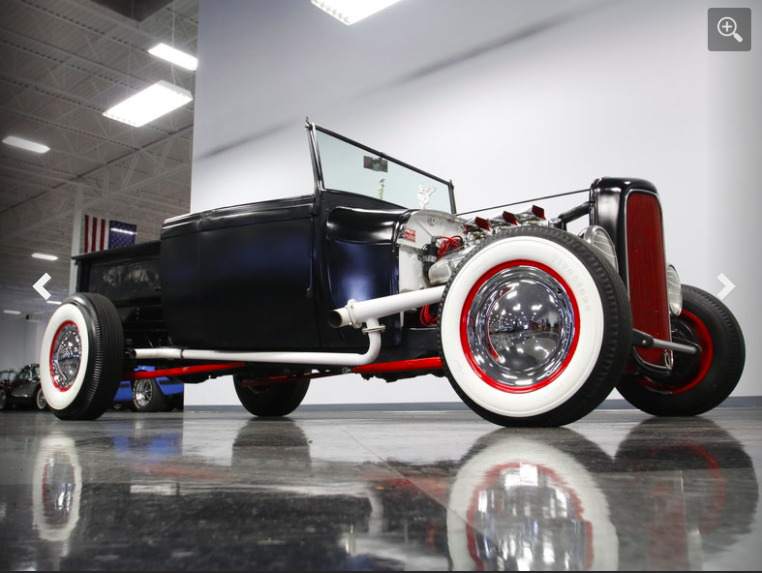 Plus, the red accents on the grille, frame, and all that pinstriping give this a terrific standout presence. 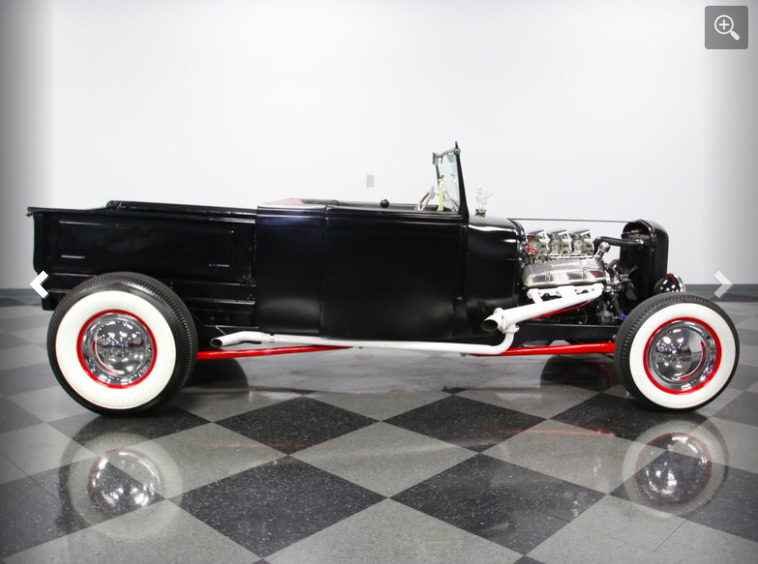 Even the wheels with whitewalls follow this color scheme for a very thoughtful and fully coordinated package. 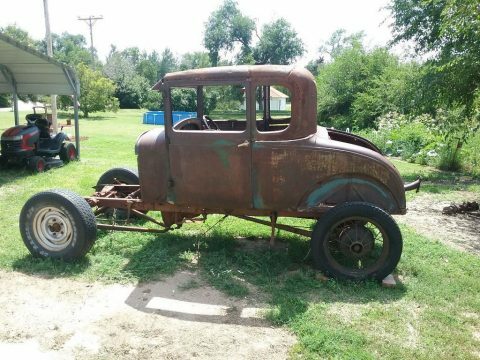 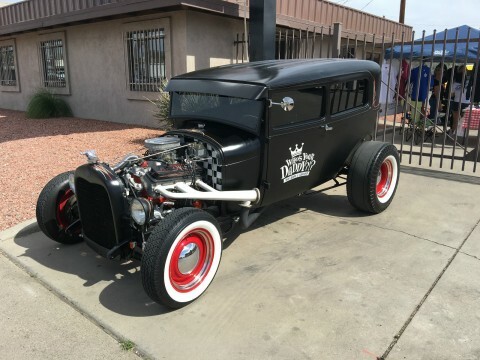 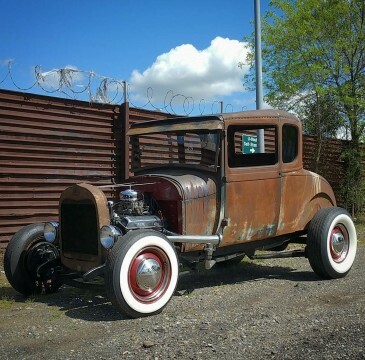 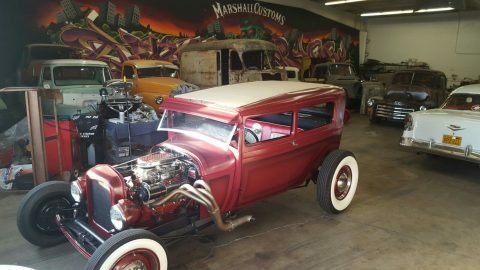 The lowered body has that great classic stance, the real wood bed adds some very desirable pickup charm, and even the hood ornament is thumbing its nose at society. 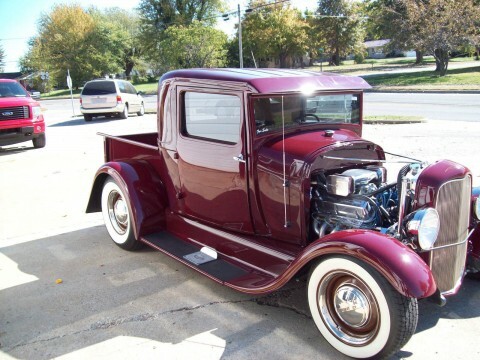 This is old school rodding at its finest.